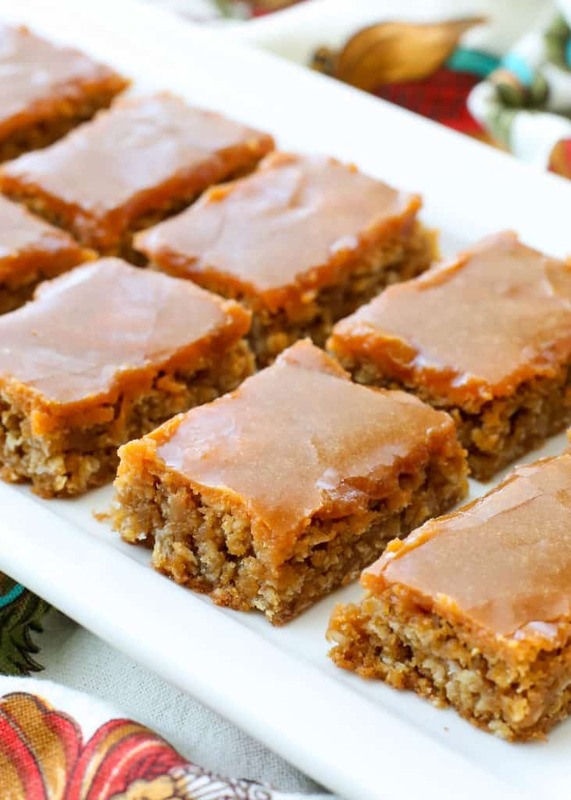 Rich butterscotch chips and a terrific oatmeal texture combine to make these Oatmeal Butterscotch Bars different from any other cookies or bars I’ve had before now. I made these bars for the first time over 6 years ago. I took them to an event with friends and they were the fastest thing devoured. 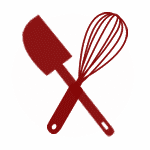 Several recipe requests came along with that, so I published the recipe as quickly as possible. 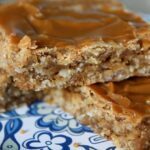 If anyone in your life enjoys butterscotch, I guarantee that they will find these Oatmeal Butterscotch Bars irresistible. For more butterscotch treats, check out these Soft and Chewy Butterscotch Cookies. These Chocolate Covered Butterscotch Squares look completely irresistible and Butterscotch Hot Cocoa Mix is basically what winter dreams are made of. If the weather is still warm where you are, maybe this Butterscotch Blended Iced Coffee will hit the spot. Last but not least, this Creamy Butterscotch Pie needs to be on my Thanksgiving table this year. Kitchen Tip: I use this pan to make and store this recipe. Preheat the oven to 350 degrees. Line a 9X13-inch baking pan with aluminum foil, letting the foil hang over the each short edge by one or two inches. Lightly grease the foil with cooking spray. Scrape the batter into the prepared pan and spread the batter evenly to the edges. Bake the bars until a toothpick inserted into the center comes out with just a few moist crumbs, this was about 16 minutes. 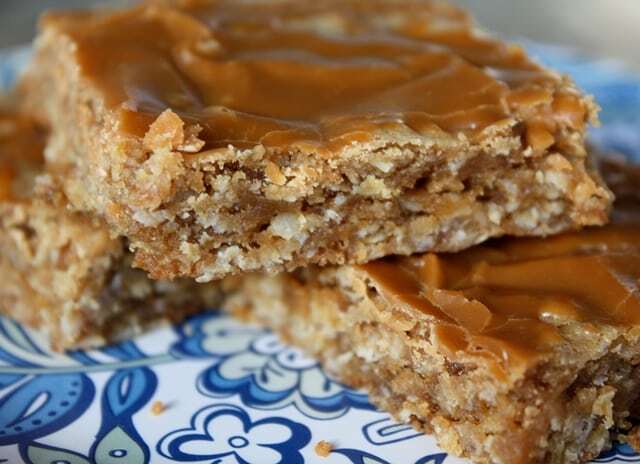 While the bars bake, place the 1/4 cup butterscotch chips, brown sugar, water and salt in a small microwave-safe bowl. Microwave the mixture until melted and smooth, this was about 2 minutes on 50% power. Whisk to combine well. Slowly drizzle the glaze over the warm bars. Let the bars cool completely in the pan. I left the bars sitting on the counter overnight. Remove the bars from the pan using the foil overhang and cut into small squares. These will keep well in an airtight container for several days. Just made these tonight to add to my freezer full of Xmas cookies. One word describes these easy bars, from my husband my official taste tester, WOW! So these are a definite keeper. Thanks for the delicious recipe! That's very strange. I'm not sure how that could have happened, Suzy. I'm glad you liked the flavor though!